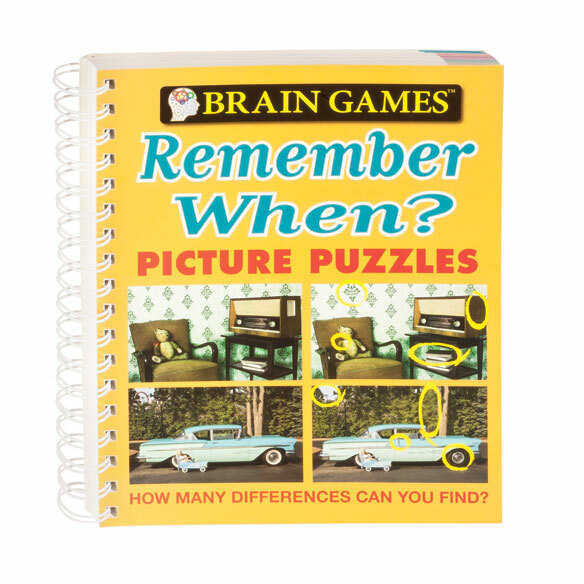 Exercise your brain’s observation skills as you find subtle differences in this Brain Games® Remember When Picture Puzzle Book nostalgic photos. 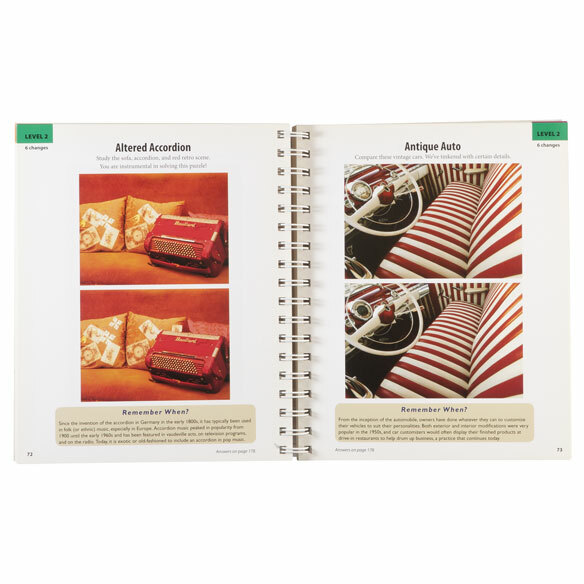 Two seemingly identical images are presented together in each picture puzzle—and it’s up to you to find what’s been altered to one of them. Tests your ability to focus, concentrate and tune into details. 4 challenge levels offer increasing difficulty to help sharpen your skills will you stroll down memory lane. 192 pages with answers in back. Just what I had been looking for. Enhances the brain and keeps it working. All the puzzles are challenging, great! Daughter enjoys and they are hard to find in stores. Pleased with your selection. I love finding the differences in the pictures. I like these kind of visual brain games. All of these books are for my husband, who has the beginnings of dementia and he enjoys working on the word search books. He has gone through quite a few already. So it was nice to see that you sell them too so I can find different ones. something to have fun with. I like to challenge my brain. I'd like to stimulate my brain and eyesight. To help occupy my 89 year old Mother. This is food for the brain! My husband and I have fun remembering.